... A diverting tale over all, full of forgotten twists and memorable characters. Who remembers now, for instance, that the Statue of Liberty was initially conceived by her French sculptor as an Egyptian peasant girl, intended to adorn the entrance to the Suez Canal? Or that the first Zionists to settle in Palestine were in fact American Protestants, who planted successive, ill-fated colonies aimed at "restoring" the Holy Land to Jews, so that their subsequent conversion to Christianity would speed the Second Coming? Or that Civil War veterans officered Egyptian campaigns in Sudan and Abyssinia? Or that before landing in North Africa during World War II, the United States Army dropped leaflets advertising the arrival of "Holy Warriors ... to fight the great jihad of freedom"? Norm, as ever, has some eloquent thoughts on the subject. 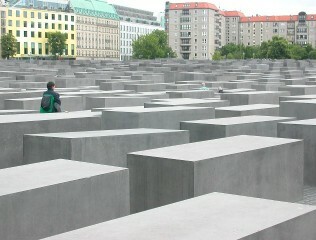 I took this picture on a trip to Berlin two years ago. I found writing novels rather a lonely business. You very rarely actually catch anyone reading them. I've heard of a novelist who got onto the tube at Piccadilly Circus for the purpose of getting out at Green Park, a distance of one stop. And as he got onto the tube he found himself sitting next to a girl who was in fact reading one of his novels. And he knew that two hundred pages further on there was a joke. So he sat on till Cockfosters, the end of the line, in the faint hope of hearing a laugh which never came. John Mortimer, The Paris Review's "Art of Fiction" interview. Is Martin Peretz an Islamophobe? Matt Yglesias think so. Jonathan Chait comes to his boss's defence. I said quite a while ago that I was planning to revamp this blog. And then nothing happened. Well, I've finally put myself in the hands of an expert who should have the new look up and running in the coming weeks. I've been unhappy with the current lay-out for ages - it's just not very user-friendly - but haven't had the time or know-how to do much about it. A new masthead, new format - and a whole new URL in fact - are all in the works. Touch wood. 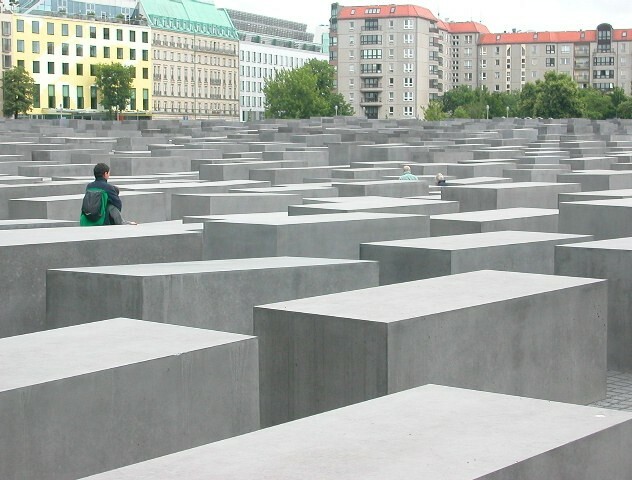 He compares the strenuous act of historical forgetting involved in seeing Islamism as authentically "anti-imperialist" with the mental gymnastics demanded of Communists and their fellow-travellers in 1939 when the Nazi-Soviet pact was sealed. Cohen is interested in the psychology of such accommodations. "I quite deliberately went back in the book and looked at the 70s and the 30s, at communists in the 30s and Trotskyists in the 70s (who ended up taking money from Saddam). That gives you clues to mental patterns, how people argue themselves into such positions." Yet, for all the historical parallels, Cohen insists that there is something distinctive about the latest ideological mutation on the left. For one thing, he says, "socialism as a practical political project is simply dead." What remains is the anti-imperialism of fools. But isn’t this sort of thing restricted to a tiny and remote fringe of the far left? Cohen thinks not. "Taking a kick at the far left is good fun, but it certainly wouldn’t be worth writing a book about. The difficulty is that this attitude is so pervasive it’s hard to see how extraordinary it is. Because you’re no longer a socialist putting forward a programme, you don’t have to stand for anything. That’s why so many people read Noam Chomsky and Michael Moore – they don’t have to commit to anything. They just have to jeer." Lit buffs should note that Jonathan Derbyshire - who wrote the profile - also has a good piece on the new Paris Review anthology. The Bonfire of the Vanities and Liar's Poker find a place in the Wall Street Journal's list of the best books ever written about Wall Street itself. The best book ever written about the Big Apple? 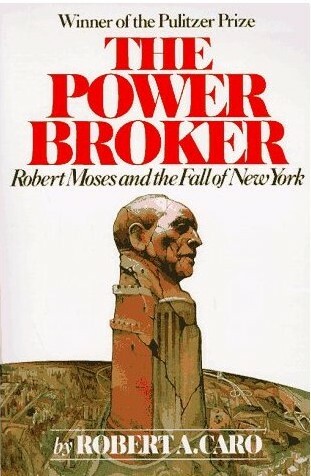 The Power Broker, Robert Caro's epic, 1200-page biography of city planner Robert Moses, would get the votes of an awful lot of people: Citizen Kane meets All The King's Men. But as the NY Observer reports there's been an outbreak of dissent ahead of a major exhibition on Moses' life and times. Scary to learn that Caro - who's still at work on his multi-volume life of LBJ is now 71. I interviewed him in 1990, when he'd just published part two. Towards the end, I asked how long he thought it would it would take to finish the whole thing. I'm pretty sure he said fifteen years. No sign yet of the fourth and final instalment. That is, I suppose, a good definition of perfectionism. "We never had a cup. We used to drink out of a rolled-up newspaper..." One reader was a mite perplexed by my reference to a handful of gravel yesterday. So, to enlighten him, here's the original black-and-white version of the classic sketch about deprived childhoods, as performed on At Last, The 1948 Show. Two Pythons-to-be, John Cleese and Graham Chapman, swap tall stories with Tim Brooke-Taylor and the magnificent Marty Feldman. The administration now rewards democracies with aid. But why not have a more meaningful measure? Why not reward countries when they protect human rights, reduce corruption and increase the quality of governance? "Our aid should be conditional on absolute standards," says [Larry] Diamond. "The European Union has forced change on countries that want to join it by demanding real progress on tough issues."